For centuries, alfalfa has been used for medicinal purposes. Its many wondrous beneficial properties are not really a secret. In ancient China, alfalfa was used to treat conditions, such as kidney stones, gastrointestinal problems, etc. In Ayurveda, the ancient Indian medicinal practice, it is known to be an effective medicine for people who suffer from arthritis as well as digestive and gastro-intestinal diseases. Alfalfa is known to be one of the most nutrient-rich plants in the world. It is no wonder that it is known as the ‘father of all foods’, which comes from its Arabic name ‘al-fac-facah’. It has large contents of phytonutrients, which include minerals and vitamins. It is no secret that alfalfa is a magical plant that is rich in many nutrients. Its ability to treat different skin conditions and improve our skin from within is well known. People from all over the world use alfalfa to get glowing and healthy skin, both inside and out. The chlorophyll in alfalfa is renowned for cleansing our body of impurities. It is a substance that is used to detoxify the body. It also fights infection. This plant has the ability to break down carbon dioxide and reduce any action that involves anaerobic bacteria. Alfalfa chlorophyll is rich in Vitamin A and enzymes. These properties make it essential for healthy skin. Vitamin A helps in the maintenance and construction of skin that is healthy and glowing. It works from the inside, producing great effects on the outside. Dry skin is one of the most common skin problems that we face today. Alfalfa chlorophyll and its high Vitamin A content help to cure dry skin problem. It improves complexion and the texture of skin through the different nutrients that the body receives when consumed. Did you ever know how effective is Alfalfa for hair growth? Alfalfa has a high protein content that helps in hair growth. 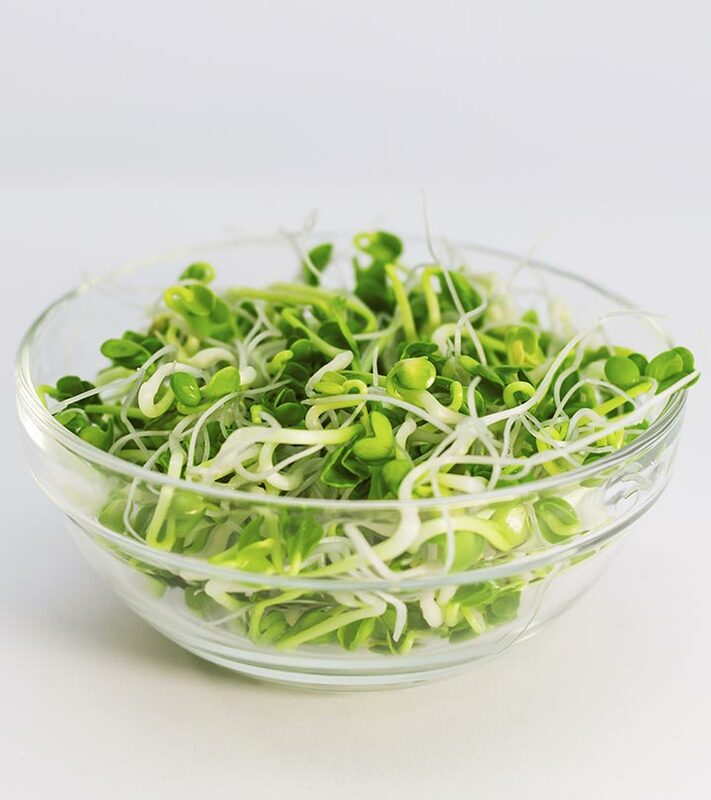 The grains, seeds, and sprouts of alfalfa in your diet will provide you with enough protein to give you healthy hair. As mentioned earlier, alfalfa has a high content of Vitamins like B1 and B6 as well as C, which are beneficial for the hair. Vitamins B1 and B6 are vital to make sure that your hair grows healthily. Vitamin C helps in improving the circulation of blood in the scalp and also with the antioxidant action that takes place in hair follicles. The Vitamin E in alfalfa increases the uptake of oxygen and this in turn helps in scalp circulation, which is important for hair’s proper growth and health. Alfalfa contains minerals, such as calcium, zinc and iron. These minerals help in preventing and reducing the loss of hair. Zinc is known to stimulate hair growth. The iron present in alfalfa also helps in hair growth as iron deficiency may be one of the causes of hair loss. Silica is known to slow the process of hair loss and helps in the prevention of baldness. Alfalfa contains silica, so including it in your diet can help in the growth of healthy hair. This benefit of alfalfa helps in the elimination of bad cholesterol from your body. It prevents the cholesterol levels in your body from going too high, thereby decreasing the risk of heart diseases. It is well-known that alfalfa is effective in the treatment of digestive problems. Gastritis, stomach ulcers, indigestion, bloating, nausea, etc., can be prevented with the use of this wonderful plant. 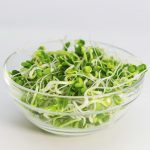 Alfalfa sprouts are also famous for their effectiveness in treating chronic constipation due to its high fiber content. Alfalfa is known for its detoxification properties, making it a great food to cleanse your body. A daily dose of this plant will keep your body clean from the inside. Cancer is a disease that kills hundreds of people from all around the world every year. You can prevent the risk of cancer by including alfalfa in your diet. It contains an amino acid known as canavanine that is known to prevent the occurrence of cancer. It is also known to help in the binding of carcinogens that are present in the colon. Alfalfa has diuretic properties, which prevents disorders of the kidney like water retention. It also has great properties that prevent you from developing Urinary Tract Infection [UTI]. Alfalfa contains good amounts of antioxidants, which helps in preventing arteriosclerosis, which is the start of any heart disease. It is also known as a natural blood thinner and strengthens the rutin that is present in blood vessels. This miraculous plant has high chlorophyll, iron, and Vitamin K content. These nutrients aid in the extra production of blood in the body. Alfalfa is used to treat bleeding gums, nosebleeds, anemia, and poor clotting of blood. Phytoestrogens are hormones that can be used to counter the symptoms of menopause. Three types of this hormone can be found in alfalfa-coumestrol, genistein, and biocanine. The minerals found in this plant are also effective in countering menopausal symptoms. With alfalfa as part of your diet, you can fight hot flashes, vaginal dryness, night sweats, low levels of estrogen, postmenopausal osteoporosis, etc. The phytonutrients, such as L-canavanine and chlorophyll in alfalfa helps in increasing the body’s resistance to diseases. It helps in lowering blood sugar, preventing Type II diabetes, adult-onset diabetes, etc. It is also known to prevent tumors from developing in different parts of the body. Alfalfa has different properties that make it an anti-rheumatic agent. Alfalfa also helps in the prevention of kidney stones and gravel, edema, arthritis, arthrosis, varicose ulcers, heavy metal poisoning, etc. Alfalfa is used for the treatment of many other disorders and health problems, such as fatigue, loss of energy, memory weakness and decrease in alertness, poor thyroid function, split hair problems, brittle nails, night blindness, dental problems, protein deficiency, low production and poor quality of breast milk, weak bones, scurvy and malnutrition. Alfalfa tea is a powerhouse of nutrition. No wonder it had been quite popular in the earlier days as a complete tonic to improve the appetite and invoke a quicker recovery from various illnesses. Apart from that it also boosts the body’s immunity power. An ideal appetizer, it is also a safe home remedy for anemia. The diuretic nature of this alfalfa tea keeps the spiking sugar levels under control. Those who are diabetic can use this tea to prevent an unwanted surge of sugar in their blood. The detoxifying nature of alfalfa tea enables it to keep the sugar levels under control. Plus, being enriched with protein and fiber in abundance, it makes a wonderful snack for those who are on a weight loss regimen. Vitamin K is known as the blood clotting vitamin. Alfalfa tea is an amazing source of this vitamin. It helps in blood clotting, shielding you from crucial situations that can arise from uterine bleeding and nose bleeding. An elevated blood pressure level is dangerous if not taken care of at the right time. It can lead to unprecedented medical conditions, including stroke and myocardial infarction. Just a cup of alfalfa tea a day is known to be beneficial in keeping blood pressure level under control. Alfalfa tea is known to have tranquilizing and sedating effects on the nervous system. A cup of alfalfa tea can help you beat stress and keep anxieties away. 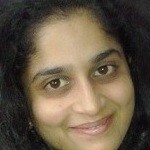 It is also known to be quite effective in solving insomnia and other sleep disorders. Vitamins: The vitamins present in alfalfa are Vitamin A, Vitamin B1 (thiamine), Vitamin B2 (riboflavin), Vitamin B3 (niacin), Vitamin B5, Vitamin B6, Vitamin K, Vitamin C as well as folic acid. These are all vitamins that you need to have a body that is healthy and strong. Minerals: Alfalfa’s mineral content includes iron, calcium, magnesium, copper, phosphorus, selenium, boron, chromium, sodium, potassium, zinc, and silicon, to name a few. The presence of these minerals helps your body in functioning properly and also prevents different diseases. As you can tell, alfalfa can do a lot of good for our health, which is why it makes a wonderful addition to your daily diet. Alfalfa is also a rich source of amino acids. This great vegetable has 14 amino acids present in it, and eight of them are essential to our health. The eight essential amino acids that are present in alfalfa are leucine, phenylalanine, tryptophan, threonine, isoleucine, methionine, valine, and lysine. The combination of these nutrients makes alfalfa one of the most powerful medicinal vegetables in the world. Combining it with other veggies in a salad or adding it to a soup is some of the best ways to gain the benefits of this wonderful plant. You will find alfalfa in tablet, tea and powder form. The popularity of plant is growing with more and more people making use of this amazing gift of nature. In countries like the US and Australia, more people are introducing it as a part of their daily diet by adding it to salads and soups. It is also popular as a tea, with many people preferring it to coffee and other beverages. With all the goodness that you can find in alfalfa, it is definitely a wise decision to add it to your diet. You can also purchase the supplements made from the plant; however, there is nothing more beneficial than the fresh alfalfa. With so many healing properties, you can gain a lot by eating alfalfa. Apart from preventing different fatal diseases and conditions, it can also cure you of ailments that are currently affecting you. What more could you ask for in a food? No other veggie in the world can give you the magical effects of the wonderful alfalfa! Was this article on Alfalfa benefits helpful? Share your feedback with us in the comments section below.